The high and sharply fluctuating death rates in Russia are due mainly to alcohol, particularly vodka, a new prospective study of 151,000 adults confirms. Currently, 25% of all Russian men die before the age of 55 years, compared with only 7% of UK men. Alcohol and tobacco account for most of this large difference in premature mortality (appendix, pages 3-5). "Russian death rates have fluctuated wildly over the past 30 years as alcohol restrictions and social stability varied under Presidents Gorbachev, Yeltsin, and Putin, and the main thing driving these wild fluctuations in death was vodka. This has been shown in retrospective studies, and now we've confirmed it in a big, reliable prospective study", said co-author Professor Sir Richard Peto from the University of Oxford, UK. Two large studies of alcohol and death in Russia have been published by the team from the Russian Cancer Research Centre in Moscow, Oxford University in the UK, and the WHO International Agency for Research on Cancer (IARC) in France. Their retrospective study, reported five years ago in The Lancet, asked the families of 49 000 dead people from three typical Russian cities (Barnaul, Byisk, and Tomsk) how much vodka the deceased person used to drink. Their new prospective study, published today [Fri 31 Jan] in The Lancet, asked 151 000 people how much vodka they drank, then followed them for up to a decade, during which 8000 died. Both studies found much higher risks of death in men who drank three or more bottles of vodka a week than in men who drank less than one bottle a week. The researchers estimate that the 20-year risks of death for smokers between ages 35-54 years were 35% for men who had reported drinking three or more half-litre bottles of vodka a week, compared with 16% for men who had reported consuming less than half a litre a week. The corresponding risks of death at ages 55-74 years were 64% and 50%, respectively. According to co-author Dr Paul Brennan from the WHO International Agency for Research on Cancer in Lyon, France, "Because some who said they were light drinkers later became heavy drinkers, and vice-versa, the differences in mortality that we observed must substantially under-estimate the real hazards of persistent heavy drinking." The excess mortality among heavy drinkers was mainly from alcohol poisoning, accidents, violence, suicide, and eight particular categories of disease (throat cancer, liver cancer, tuberculosis, pneumonia, pancreatitis, liver disease, a particular type of heart disease, and ill-specified medical conditions). Whereas UK death rates at ages 15-54 years have been declining steadily since 1980, mainly because so many people in the UK have stopped smoking, Russian death rates at these ages have fluctuated sharply, approximately in line with alcohol consumption. For example, under Mikhail Gorbachev's 1985 alcohol restrictions, alcohol consumption fell rapidly by around 25% and so did the death rates. When communism collapsed, alcohol consumption went up steeply and so did the death rates. More recently, since the 2006 Russian alcohol policy reforms, the consumption of spirits has fallen by about a third and so has the risk of death before age 55, although that risk is still substantial (appendix, pages 3-6). Study leader Professor David Zaridze from the Russian Cancer Research Centre in Moscow concludes, "The significant decline in Russian mortality rates following the introduction of moderate alcohol controls in 2006 demonstrates the reversibility of the health crisis from hazardous drinking. 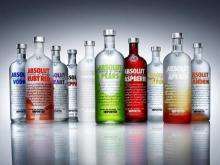 People who drink spirits in hazardous ways greatly reduce their risk of premature death as soon as they stop." Writing in a linked Comment, Dr Jürgen Rehm from the Centre for Addiction and Mental Health in Toronto, Canada points out, "On its own, the overall volume of alcohol consumed in Russia, albeit high, cannot explain the high alcohol attributable mortality; it is the combination of high overall volume with the specific pattern of episodic binges that is necessary to explain the high level and fluctuating trends of total and alcohol-attributed mortality in Russia." He adds, "Since the average life expectancy from birth for men in Russia is still only 64 years, ranking among the lowest 50 countries in the world, more effective alcohol and tobacco policy measures are urgently needed."